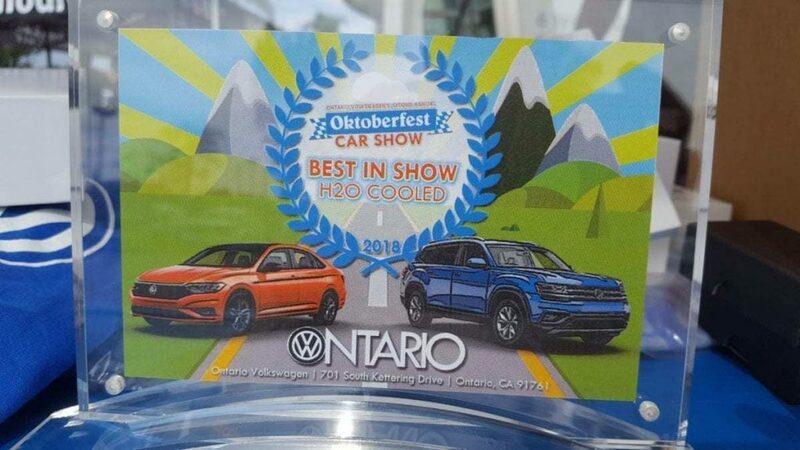 Ontario Volkswagen’s 2nd Annual Oktoberfest Auto Show was a huge success! 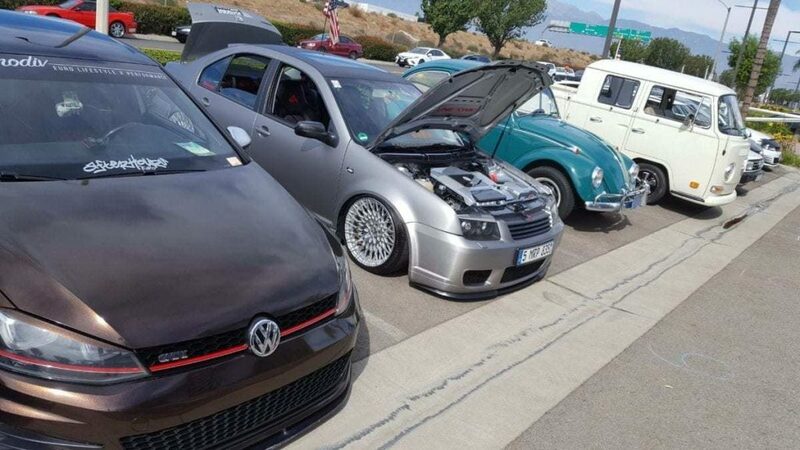 The 2018 event brought out V-Dubs from old to new and, of course, they were driven by the owners/lovers of them. 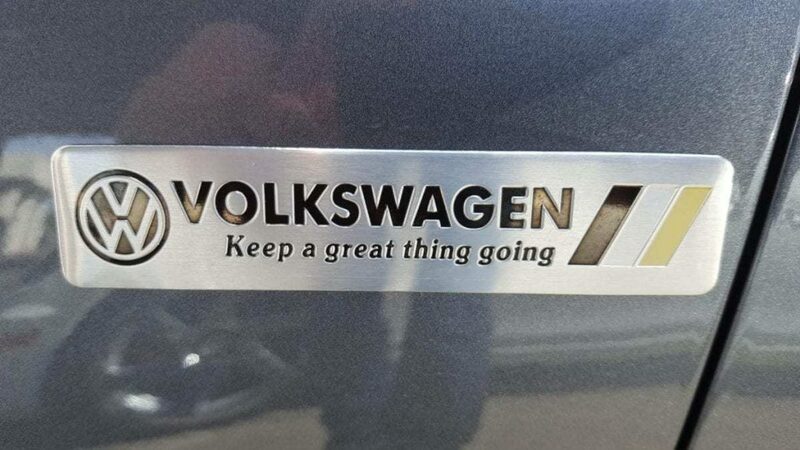 I‘ve always known VW as a quality German import vehicle with a serious cult-like following. But working with Ontario VW this past year I’ve developed a completely new appreciation for the brand and its followers. 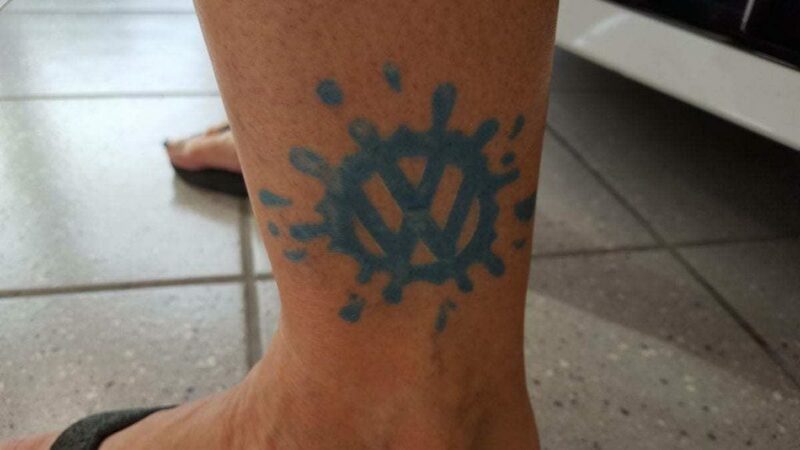 They all love Volkswagen – seriously. But there’s a fun-loving division amongst the devotees. That main division being; are you air-cooled or water-cooled? 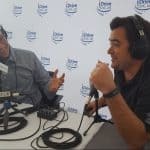 If you missed the event we’ll take you back there in this on-site podcast recorded live during the event. 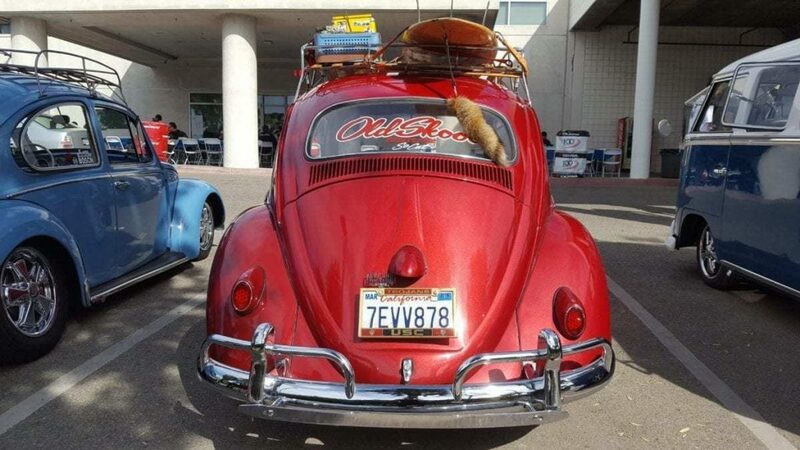 And be sure to make next year’s event at Ontario VW – great people, great cars, great time and oh yeah – great giveaways too! Jimmy Willhide: Volkswagen was always a part of that history, you couldn’t talk to anybody and not mention a Volkswagen because guaranteed somebody had one. Everybody’s in love with the car. They’re all there to hang out, and they’re having a good time. 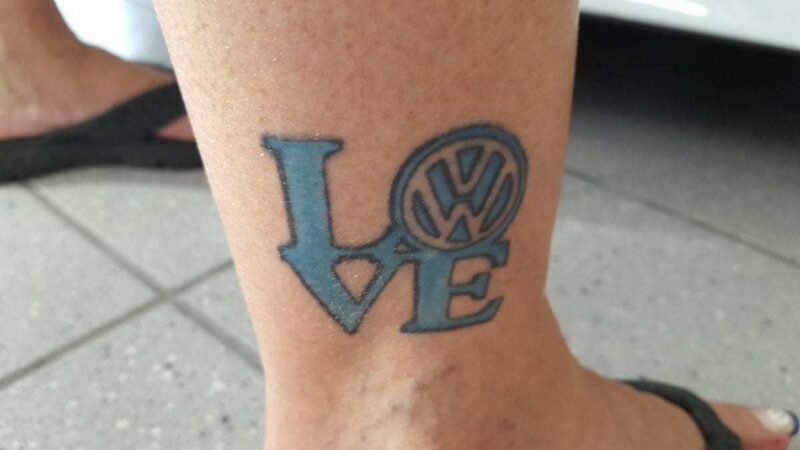 We wanted to express our gratitude to our folks that buy Volkswagens, service Volkswagens, in love with the Volkswagen brand. 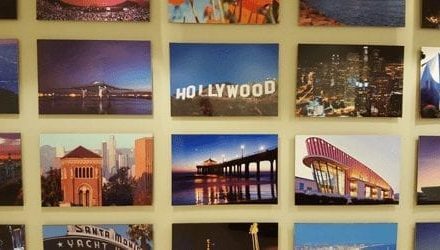 Tom Smith: Welcome to iDriveSoCal, the podcast all about mobility from the automotive capital of the United States, Southern California. Tom Smith here. And I am. We are. 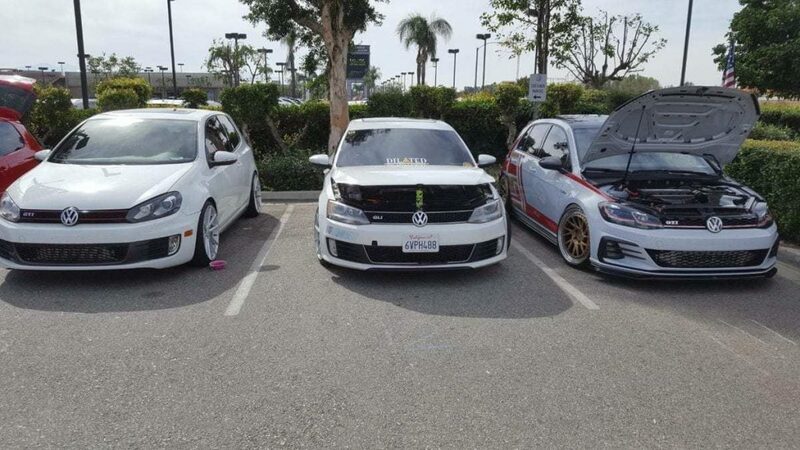 You and me and a whole bunch of other people are out at Ontario Volkswagen in the Los Angeles suburb of Ontario, California for the second annual 2018 style Ontario Volkswagen Oktoberfest. And joining me is Volkswagen guru – Volkswagen resident guru – of Ontario Volkswagen, Jimmy “VW” Willhide. Jimmy Willhide, ladies and gentlemen. 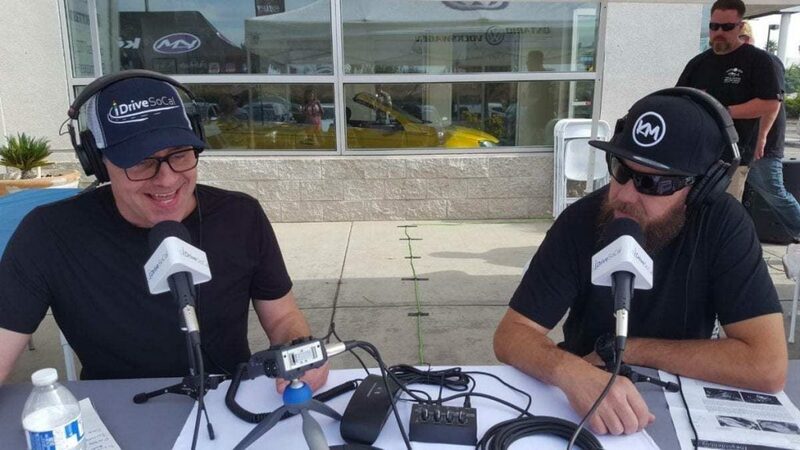 Tom Smith: Obviously as you can hear by the background noise, this is a…live podcast is a complete oxymoron, right? Tom Smith: Because a podcast is never live. Tom Smith: Although with YouTube Live and Facebook Live we probably could do a live podcast. Maybe we’ll do that one of these days. Tom Smith: In this case, we are outside. You can hear the music in the background, and we are here at the Oktoberfest auto show which Mr. Willhide is one of the key organizers of. Jimmy Willhide: Yes. Yeah, we try to set up a really nice show for everybody to come out and enjoy the day, see some really cool cars from different generations and have some food and drinks and hang out and talk to new and interesting people and their cars. Tom Smith: And we’ve been doing quite a bit of that, and actually we’ve already started talking about the actual event that we’re here for. So, I think we just dive into that. Tom Smith: We’re also going to talk about the history of the Volkswagen Beetle. Tom Smith: Because really everything, it all started with the Beetle. Right? 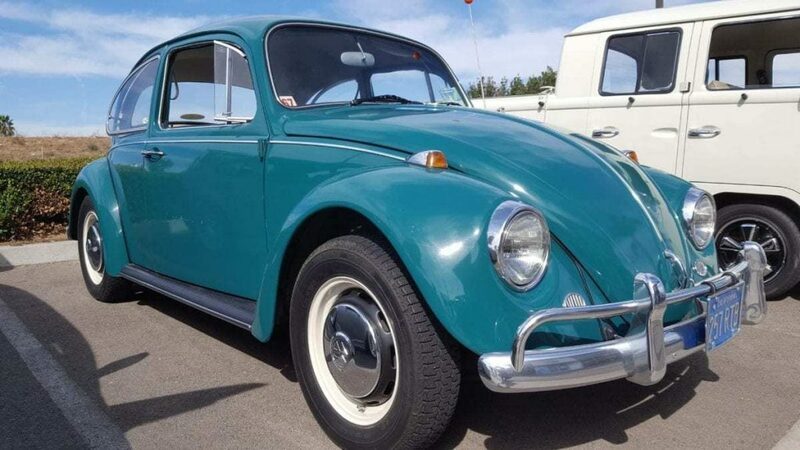 Jimmy Willhide: Yeah, it pretty much started with the Beetle for the U.S. You had a five [inaudible 00:02:05] two-door car that everybody could afford. Jimmy Willhide: Was it 1934? That would be right after World War II? Tom Smith: And that was the first car that Volkswagen, right? That was it. Jimmy Willhide: Yeah, that was the first car I believe introduced to the U.S.
Tom Smith: But that was the first car they made. Tom Smith: And then, when did it come to the U.S.? Jimmy Willhide: I believe it was 1934? Or no. Jimmy Willhide: It would be 1950? Tom Smith: So at any right, the point is there’s been a whole bunch of generations of Beetles, right? Tom Smith: The Beetles started the whole thing. Jimmy Willhide: There’s so many different generations of Beetles I don’t know where to start. I’m sure there’s more that we don’t even know about. This is a car that they started producing after the war, and I couldn’t tell you exactly when the first car was. Jimmy Willhide: And when it started. But when it did start it became a big crave, and everybody wanted one. Tom Smith: And what’s significant about that is we’re here at 2018. 2019 I believe they’re gonna have two versions, and then they’re going to stop production yet again, at least here in the United States, right? Tom Smith: Now, my bet is that the Beetle comes back as an all-electric platform, just like they’re doing with the Bus. Jimmy Willhide: That could be a possibility, yes. I think that would be something in their mix. Tom Smith: And to be clear, you and I are just guessing at that. Even though you work for Ontario Volkswagen, and I work with you guys. We don’t know. We’re just guessing. Jimmy Willhide: It would be a surprise if anything, yes. Tom Smith: So, and actually I’ve done a vehicle review recently on the Beetle, the 2018. But there is gonna be a 2019. I was just talking to Shant Bashian, the General Sales Manager here. There’s gonna be a 2019, and the 2019’s gonna have two different trim levels from what Shant was telling me. Do you know what those are off the top of your head by chance? 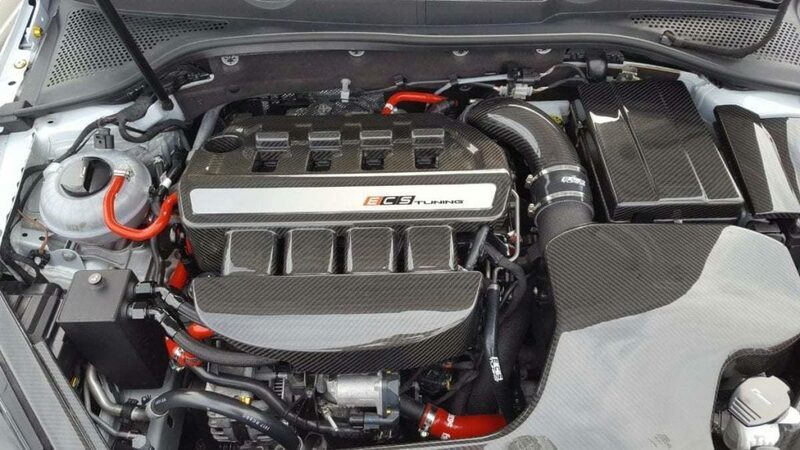 Jimmy Willhide: I’m not quite sure, but I’m guessing it’s probably gonna be the 1.8T or it could be 1.4T, I’m not sure. And then what we have now is the R, which you can’t really get those anymore. They’re gone. And then we have those new ones which is the Volkswagen Dune which is the limited edition. Tom Smith: Yeah, I saw somebody just buy one of those here today. Tom Smith: And that’s a cool looking ride. Jimmy Willhide: Very cool, yeah. It’s got a nice aerodynamic package on it. It’s got some bigger wheels on it. Stands a little bit taller. Really cool. Tom Smith: And it’s a play on what used to be done with the old Beetles, the Dune Buggy, right? Tom Smith: But this one isn’t really intended. It’s a wink and a nod to what that used to be, but this one isn’t intended to go off-road. Jimmy Willhide: This one is not to go off road, yes. You could take it off road, but you’re not gonna be doing any serious driving. Tom Smith: And it is a little bit raised. It has some bigger wheels as you mentioned. A little bit of… around the wheels, and the interior is really cool. Jimmy Willhide: It is really cool. Tom Smith: The interior is really cool. Tom Smith: So the point is, the Beetle is an iconic vehicle. It is a legendary vehicle, and it’s going away yet again. Tom Smith: A betting man would be wise to bet that it does come back, and I think it does come back. But nevertheless, these things, I was just talking with somebody from – we’re gonna talk about clubs here as well. 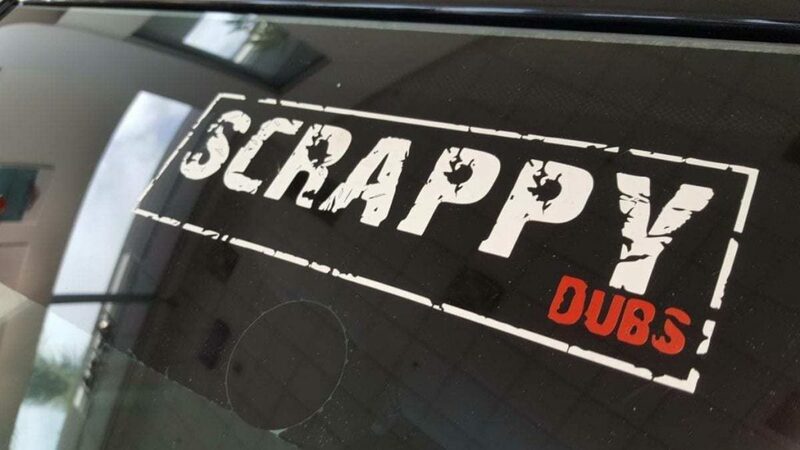 There’s a couple of different clubs, there’s the Scrappy Dubs Club, which you’re a part of, and we’re gonna talk to one of your colleagues in Scrappy Dubs. 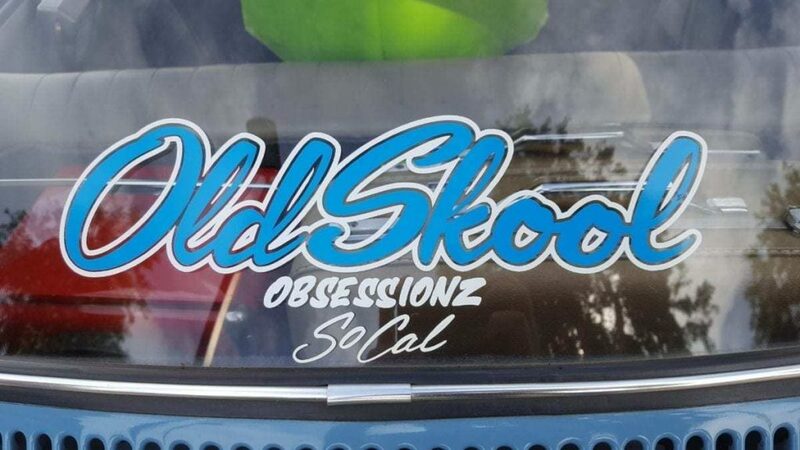 There’s another Volkswagen Club here called Old Skool. 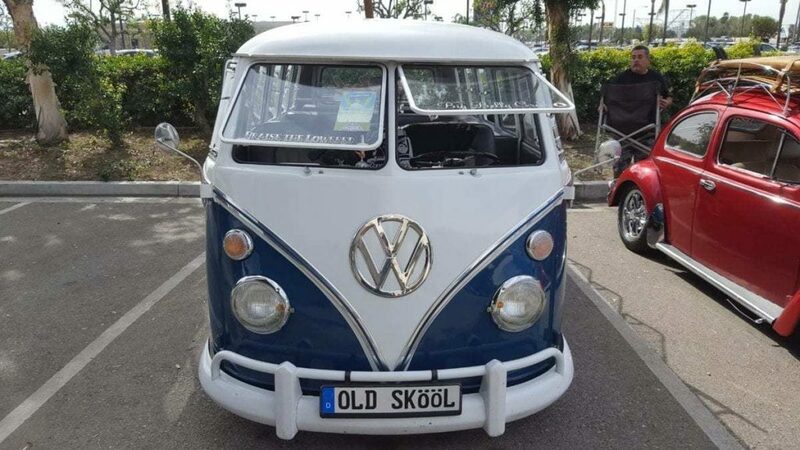 Tom Smith: And I was talking to one of the Old Skool guys, and they were just talking about the – obviously Old Skool they’re all the older models of the Volkswagens. Tom Smith: And they have a couple of Bugs here as well as a really cool Bus, and they were talking about the value of these things has just gone through the Bus. Jimmy Willhide: Yes. I don’t know if you’ve paid attention but if you watch Barrett Jackson, you watch these guys sell these Buses that are completely restored inside and out and just amazing. I mean, they’re hitting 200, 300 thousand dollars. Tom Smith: Isn’t that crazy? Jimmy Willhide: I mean, yeah, I would buy one. Tom Smith: For a car that brand new loaded with absolutely everything was what, a couple grand? Jimmy Willhide: Oh yeah. I think it was like 3500 dollars. Tom Smith: Alright, so I think we’ve covered the history of the Beetle. It’s been around, there’s been lots of iterations. There’s a couple of 2018’s left out there. There’s gonna be a handful of 19’s that are gonna be made and available, and if you want a slice of history – quite literally – this is going to be history on wheels. Every car is, but this is the Beetle. This is an iconic vehicle that has had a cult following for years and is going to continue to do so. Jimmy Willhide: Right. It has such a great history. If you think of every from the 50’s to the 60’s to the 70’s, they always had a part. Volkswagen was always a part of that history, you know? 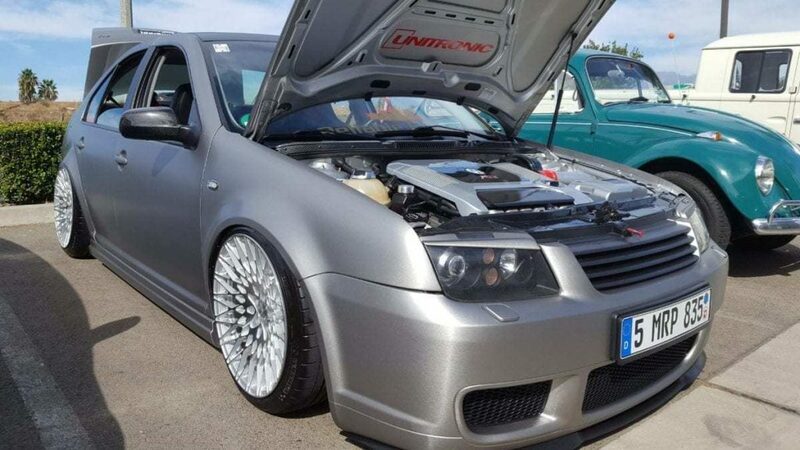 You couldn’t talk to anybody and not mention a Volkswagen because guaranteed somebody had one. Tom Smith: Everybody, yeah. For sure. Jimmy Willhide: I mean I don’t know if you ever seen the old Volkswagen love commercials. You know, they had the guys in that old Bus that looks like it’s a rendition of, what was that famous concert in New York? Jimmy Willhide: Right. And these guys are helping each other out because they’re stuck in the mud, you know, camping out. That’s what it’s all about. Tom Smith: That’s not an old commercial. That’s a new commercial! Tom Smith: It was an old Bus that they had in it. Jimmy Willhide: But just that kind of history, and even think about that commercial. That’s what it was all about. Everybody’s in love with the car. They’re all there to hang out, and they’re having a good time. Tom Smith: Well, and in that sense, it defines a generation. Tom Smith: I mean the Woodstock generation and everything else. Certainly the first Woodstock. The next Woodstock that they did was kinda ridiculous. Tom Smith: Okay, so we are out at Oktoberfest. Second annual Oktoberfest. Great event. Tons of people. Awesome beautiful cars. Awesome people as well. How does this come together? Jimmy Willhide: This is something we put together. We wanted to, you know, express our gratitude to our folks that buy Volkswagens, service Volkswagens, in love with the Volkswagen brand. I go to plenty of car shows, and they get super big. These are not very big, and it’s more personalized. Tom Smith: The funny thing is not everybody that I’ve talked to knows everybody else. Tom Smith: Right. 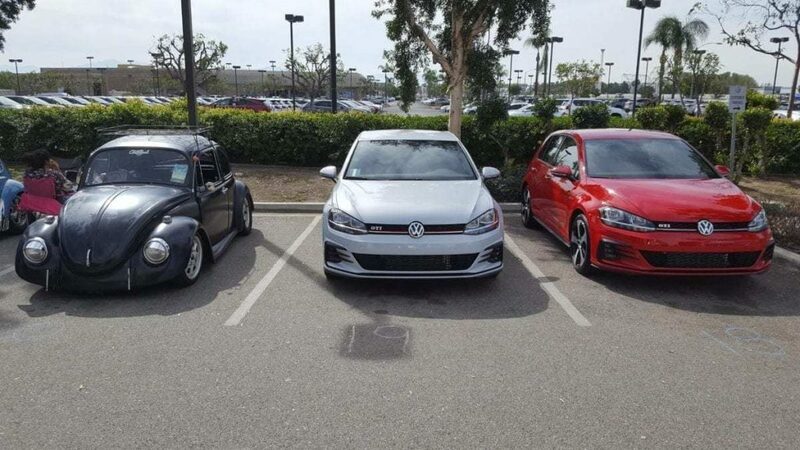 I’m the iDriveSoCal guy going around just kinda like chatting up everybody. There’s certainly pockets here of people that know each other and whatnot. But you’re one of the organizers and these Old Skool guy clubs – the club guys – you didn’t even know how they got here. Jimmy Willhide: Oh, we advertise. Bring everything. We want to see what you got. Tom Smith: The show is going to culminate with some awards, and what are those categories? Jimmy Willhide: Basically we’re doing best water-cooled Volkswagen, which is from 84 to current. Jimmy Willhide: That’s 2019. And then we have the classics air cooled. 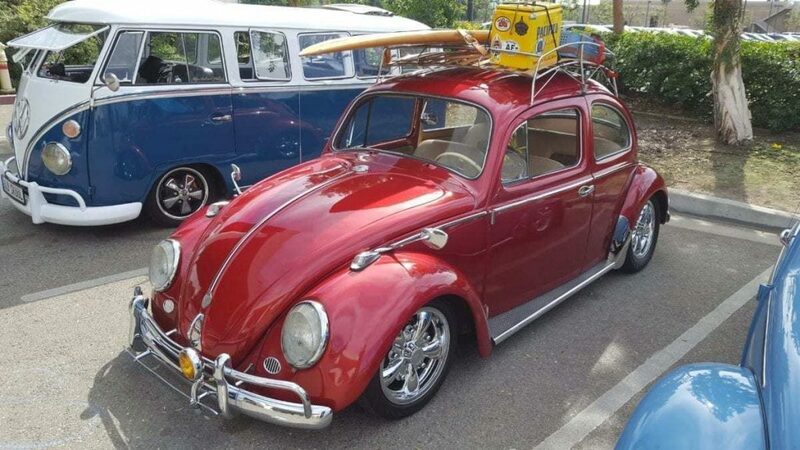 Air-cooled is from Beetle, Bug, Bus, whatever we got on the lot. Basically just checking the cars out and see how clean they are and see how they love ’em and how they take care of them. Tom Smith: Now, that is a real significant point. And you and I have done a couple of podcasts before and you’ve mentioned this to me, and I’ve talked about it like I know what I’m talking about, but I really don’t. I like cars. I’m an aficionado. I’m an enthusiast, but there’s so many niches of automotive enthusiasts. And the significance of the air cooled/water cooled thing in the Volkswagen universe is…well it’s significant, isn’t it? Jimmy Willhide: Yes, it is. Yes, it is. Tom Smith: The significance of the air-cooled/water-cooled is very significant. It’s almost like political parties in the Volkswagen world, right? Jimmy Willhide: Well you basically, you know, most of the folks that have the air-cooled cars had to have a piece of history. They’ve had one when they were kids. Tom Smith: It’s the Old Skool guys. Jimmy Willhide: Yeah. They’ve had one when they were a kid. They wanted another one. They built it back the way they wanted it, or if they’re original. 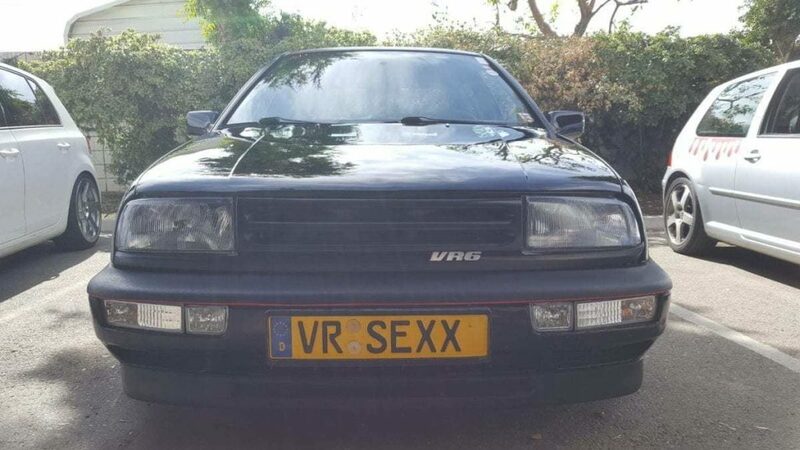 I’ve got a guy here that’s got an ’86 Volkswagen Golf. He’s the original owner. The original owner. Jimmy Willhide: Yeah. 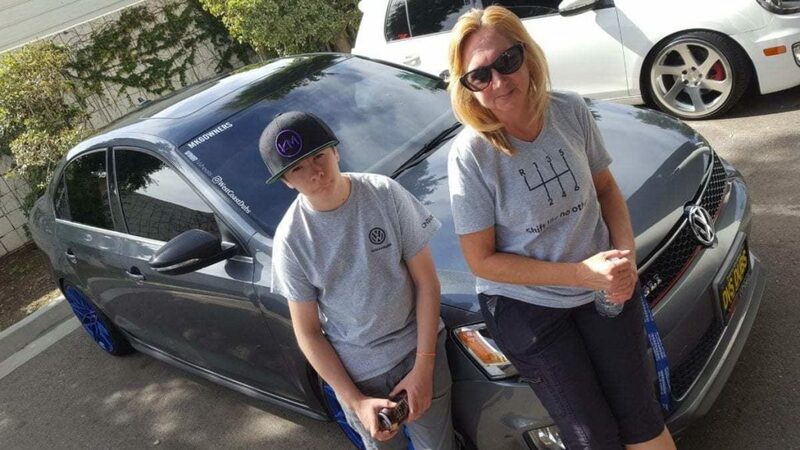 His dad bought it for him; his first car. Tom Smith: There ya go. Tom Smith: And now that’s water cooled? Jimmy Willhide: That’s water cooled. Tom Smith: ’84 they became water cooled, is that what you said? Tom Smith: Okay. Gotcha. Alright so, is that the two categories? Air cooled and water cooled, that’s it? 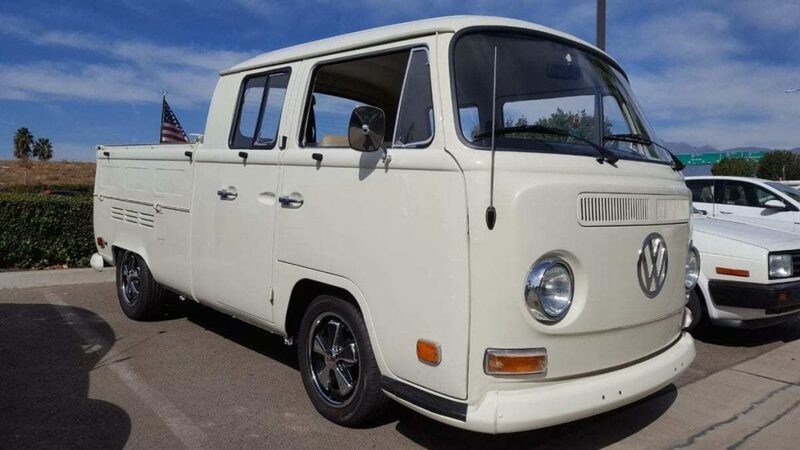 Jimmy Willhide: Air cooled and water cooled. Tom Smith: So one award for each, or? Jimmy Willhide: Yeah. We’re just doing one award. Just an appreciative award. You know, nothing crazy. It’s not like you have to spend a lot of money to win an award. Jimmy Willhide: Just something we appreciate we see. 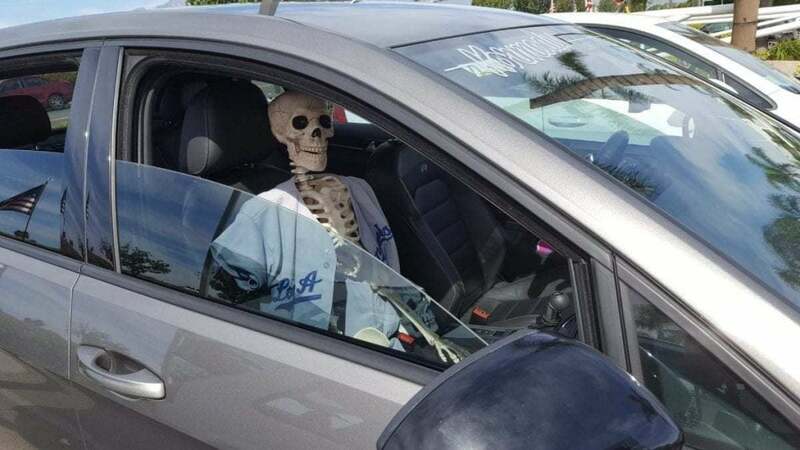 You know, how you took care of the car. If it’s nice and clean and it’s greaseless, which is hard to do on an air cool, we’re gonna show our appreciation. Tom Smith: Okay. And who is judging, what’s the criteria? Tom Smith: I got to comment again, we’re in a pretty noisy environment. We’re outside of Ontario Volkswagen. Ontario Volkswagen is right by the Ontario Freeway and the 15 and there’s some 200 cars that are coming and going. Tom Smith: So there’s some significant background noise. Tom Smith: So at any rate, the judging is gonna be done by I’m assuming you and a couple of others? Jimmy Willhide: A couple of friends of mine that are, you know, they’ve been around a Bug quite a long time. 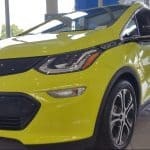 What they’re doing is looking for cars that have different features, extra features, how they built their car, what’s in the car, and just show our appreciation. Tom Smith: Okay. Alright. So this isn’t a really scientific measurement as far as who’s gonna win. Jimmy Willhide: Right. No, there’s no judgment. It’s just what we think should win an award as far as participation and how she’s looking. Tom Smith: Alright. Alright, very good. And that is for both air cooled and water cooled? Tom Smith: Alright. And what are we winning? Jimmy Willhide: It’s just a little plaque. 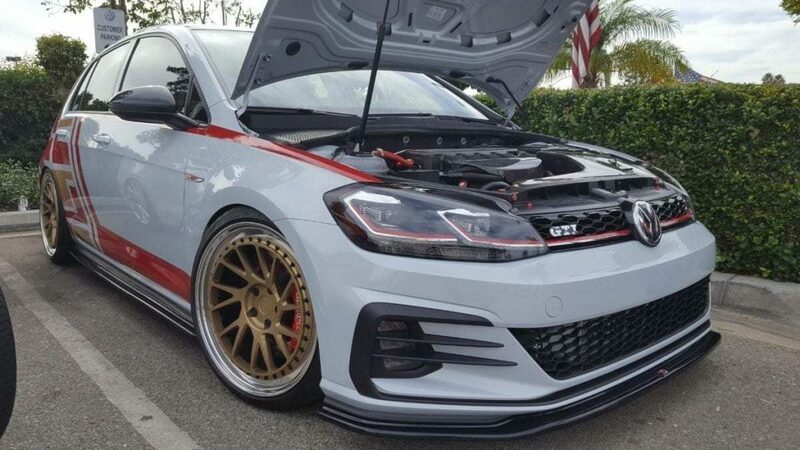 It just shows that it’s 2018 Oktoberfest Car Show. Tom Smith: So you’ve got some bragging rights there. Tom Smith: Alright. Very cool. Jimmy Willhide: Something to put on your mantle. Tom Smith: There ya go. There ya go. Alright, well fantastic. You can’t key us into any insight as to who the winners might be? Jimmy Willhide: Uh, I’m not gonna spill the bags just yet. Tom Smith: But we are getting close. Jimmy Willhide: Yes we are. Tom Smith: We are getting close. 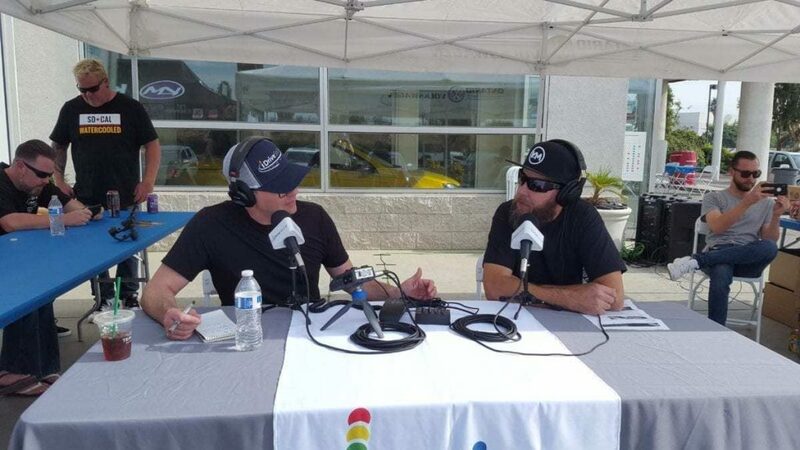 Tom Smith: Alright, Mr. Willhide, thank you as always for joining me for the iDriveSoCal podcast, and thank you and the whole crew out here at Ontario Volkswagen for being a great iDriveSoCal partner. We love you guys. We love coming out here, and I’m looking forward to many more Oktoberfests to come. Perhaps I’ll be participating with a VW of my own one day down the line. 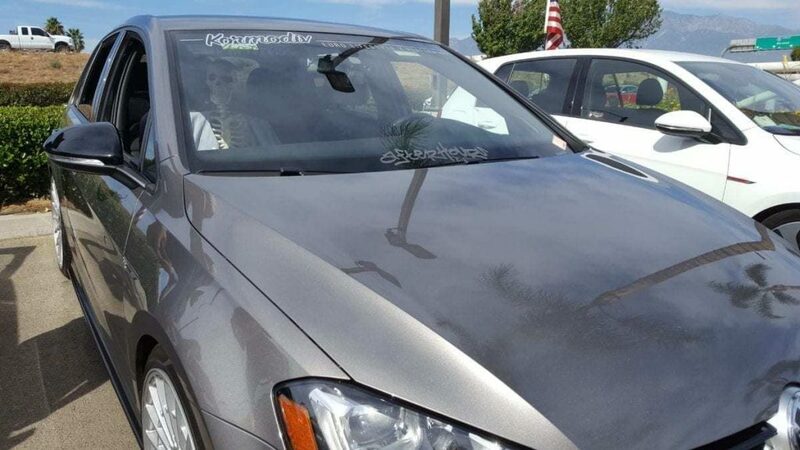 Tom Smith: You know, somebody’s pulling out right now that just made me think, within Volkswagen or the “VW” kind of fan clubs – plural – right? Tom Smith: There’s the Old Skool. There’s the Scrappy Dubs guys. One of the women that just pulled out, it was like I think they’re called like VW Divas or something like that? So, it’s just fascinating how within the somewhat, you know, niche kind of set there’s even subsets of the niche kinda set. That’s cool. Jimmy Willhide: Like that car we just saw when it came through here. 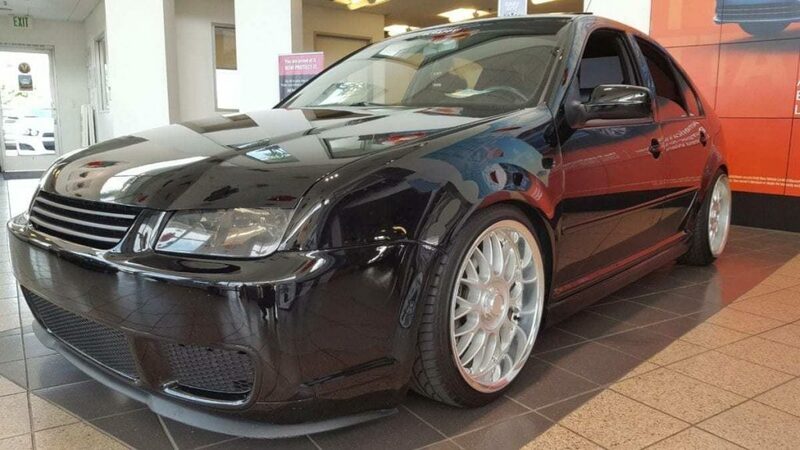 It’s a newer style Jetta, and it’s got an old classic look to it. It’s got that old moon cap Beetle look to it that had the turquoise wheels on it, you know? Tom Smith: Yep. And there goes Michelle and her son Ryan, who I was actually mentioning. On the front license plate of hers, she has I want to say – there she goes. Bye Michelle! If you’re listening to this, you can hear yourself pulling away. Tom Smith: Alright. Mr. Willhide, thank you as always. Ontario Volkswagen definitely the place you want to come for all of your Volkswagen needs. Obviously the sales side of things but Mr. Willhide is – look if I’m a Volkswagen driver, he’s like the only guy in the planet that I’m bringing my Volkswagen to. Jimmy Willhide: Well I appreciate that. Tom Smith: We appreciate you. Tom Smith: Jimmy, thank you as always. Unless there’s anything else? Jimmy Willhide: No, I just say thank you for coming out here and enjoying the day with us. Tom Smith: Oh, my pleasure. Thanks for having me. 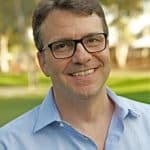 Tom Smith: For iDriveSoCal I am Tom Smith. Thank you as always for tuning in.